Pink eye is a contagious eye infection that is usually not a cause for alarm. However, since there are other eye infections that may lead to permanent vision loss, it’s always advisable for patients to consult an eye doctor in Chicago right away if any unusual symptoms develop. 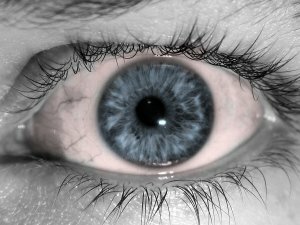 An optician may diagnose a patient with pink eye, also known as conjunctivitis, if he or she develops watery, itchy eyes along with redness in the whites of the eyes. Patients may also have swollen eyelids, thick discharge, and excessive tearing. Additionally, patients might inform the ophthalmologist that they suffer from tenderness and swelling of the areas just in front of the ears. It usually takes about five to seven days for these symptoms to resolve. However, some patients may develop chronic symptoms. Generally, patients who wear contact lenses, have vision in just one eye, or have a suppressed immune system are at an increased risk of developing serious cases of pink eye. If the infection was caused by bacteria, the ophthalmologist may prescribe an antibiotic ointment. For bacterial or viral pink eye, one eye care strategy is to place a cold, wet washcloth over the eyes. Patient should be very careful to avoid letting anyone else come into contact with an infected washcloth.